Jason Rentfrow explains how analysis of over three-quarters of a million online surveys has been used to build a "map" of the USA. As in the case of social influence, features of the physical environment could affect the personalities of individuals within a given region. Climate, for instance, has a significant effect on the types of activities in which people within a region can engage. The study of personality can be traced back over two millennia but it wasn’t until the early 1990s that an empirically derived framework for studying personality became widely accepted in the scientific community. Decades of research involving hundreds of thousands of individuals revealed five broad dimensions of personality. These so-called Big Five dimensions – Extraversion, Agreeableness, Conscientiousness, Neuroticism and Intellect – provided a basic model for conceptualising and measuring personality. We know a fair amount about the antecedents and consequences of the five dimensions. Evidence from studies of identical twins suggests that the Big Five have a substantial genetic basis. There is evidence that the dimensions exist in different parts of the world. And numerous studies have shown that differences between individuals are associated with important life outcomes, from academic and occupational success, to marital stability and physical health. One question that we know less about concerns the geographic distribution of personality. Are the Big Five personality dimensions evenly distributed across the globe, or are they geographically clustered? National and regional stereotypes would have us think that there are important geographic personality differences. But do such stereotypes have any basis in reality? Ongoing research by Dr Jason Rentfrow, at the Department of Social and Developmental Psychology, and Dr Sam Gosling, at the University of Texas, aims to examine geographic variation in personality. In a large-scale project partially funded by the US National Science Foundation (NSF), data collected by online survey from over three-quarters of a million individuals in the USA revealed that personalities are not randomly distributed but are clustered into distinct geographic patterns. It seems that residents of the Mid-Atlantic and New England states are relatively stressed, irritable and depressed, whereas West Coast residents are more emotionally stable, relaxed and calm than the rest of the country. The two coasts are quite similar on other traits, though. Traits associated with intellect, such as creativity, imagination, and openness, are higher in the Northeast and West Coast than in the Central and Southern states, where people are more pragmatic, straightforward and traditional. Compared with the rest of the country, residents of the Central and Southern states are also more neighbourly, friendly and generous. One particularly important discovery is that the prevalence of certain personality traits is associated with a range of important geographic indicators. In states where rates of neuroticism are high, life expectancies are short and rates of cancer, heart disease, stroke and diabetes are high. In such places, residents are also less socially connected than in regions where people are more emotionally stable. In regions where intellect is high, more patents are produced per capita and more people work in the arts, technology and R&D than in places where intellect is low. The prevalence of traits associated with agreeableness, such as warmth, generosity and friendliness, is linked to lower crime rates – people are more trusting in safe places. One explanation for the geographic clustering of personality traits is selective migration – the idea that people choose to live in places that meet their needs. Concerns about safety, job opportunities and the quality of schools factor into some people’s decisions about where to live. So it’s reasonable to expect that aspects of personality also filter into the decision. Consider, for instance, the finding that large cosmopolitan cities have disproportionately large numbers of people who are open, creative and intellectual. It’s likely that such people migrate to cosmopolitan cities precisely because those cities afford a multiplicity of choices with which to satisfy their needs for stimulation and diversity. Another explanation is social influence. There’s a wealth of empirical evidence that attitudes, opinions and emotions are contagious. So it is conceivable that the clustering of neuroticism, for instance, is a result of emotional contagion. In places with disproportionately large numbers of people who are anxious, irritable and tense, others ‘catch’ some of that negative affect simply through regular contact. A third explanation is environmental influence. As in the case of social influence, features of the physical environment could affect the personalities of individuals within a given region. Climate, for instance, has a significant effect on the types of activities in which people within a region can engage. In warm climates people spend more time outside and have more contact with larger varieties of people than those in colder climates. Research on seasonal affective disorder indicates that in regions that receive little direct sunlight during certain parts of the year residents are prone to depression and anxiety. Aspects of a region’s physical environment might not only shape the psychological characteristics of the residents, but might also provide incentives for settling or migrating. Understanding regional personality differences can inform our knowledge of what makes regional development tick – why it is that some regions prosper while others struggle. Social scientists have argued that technology, human capital and community are essential ingredients for economic and social prosperity. But it now appears that we have another set of useful ingredients with which to work. It will be informative to examine how the Big Five are distributed in other countries and whether the processes connecting traits and geographic indicators are similar. Personality captures an individual’s behavioural tendencies, emotionality and capacity to acquire new information. It has been shown to predict important life outcomes, such as occupational success, longevity and social connectedness. So it’s not too far fetched for the aggregate personalities of thousands of individuals to play a significant role on a geographic scale. Indeed, it makes sense that more innovation and discovery occurs in places with high concentrations of intellectual people because pushing knowledge to the limit requires curiosity and imagination. It also makes sense that rates of disease and mortality are lower in places where people are emotionally stable because psychological health is a key determinant of physical health. But which came first? This research, like most, raises more questions than it answers. Are regions like magnets, attracting certain people and repelling others? Or, are they like melting pots, infusing the beliefs, values and customs of their inhabitants? We don’t yet know the answers to these questions, but the new geography of personality provides a map that may direct us to the answers. For more information, please contact Dr Jason Rentfrow (pjr39@cam.ac.uk) at the Department of Social and Developmental Psychology. 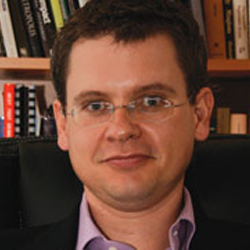 Dr Rentfrow is also a member of the University’s Psychometrics Centre.